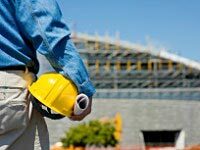 Effective firm-level occupational health and safety (OHS) policies and practices can play a key role in reducing deaths, injuries and lost days among constructions workers. But what are the workplace policies and practices that actually work? That’s what an Institute for Work & Health (IWH) study aims to find out. Study recruiters are now contacting firms in Ontario’s institutional, commercial and industrial (ICI) construction sector. We hope you will take part if contacted. Participants will receive a report benchmarking their policies and practices against those of sector peers. 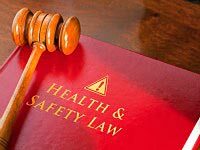 Regulators across many different jurisdictions face considerable challenges introducing and implementing worker health and safety protection measures. A systematic review of qualitative studies on enforcement by IWH highlights some of the common challenges. That systematic review is now available as an open access paper in the Scandinavian Journal Work, Environment and Health. A summary of the systematic review was also published in the fall issue of IWH’s quarterly newsletter, At Work. 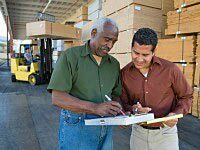 Participatory ergonomics is an approach to preventing musculoskeletal disorders (MSDs) that involves key players in the workplace identifying hazards and coming up with solutions. A guide produced by IWH, based on a systematic review of participatory ergonomics implementation, lays out the key components of the program. Now, a new study finds use of the guide is linked to greater awareness of how to implement a participatory approach. There has been considerable attention on the health risks linked with prolonged sitting. But what does research say about sitting as an injury risk or about the optimal use of sit-stand stations? On June 20-23, hear about this research from Dr. Jack Callaghan, one of the keynote speakers at PREMUS 2016, the 9th International Scientific Conference on the Prevention of Work-Related Musculoskeletal Disorders, hosted by IWH. Other keynote lectures include Dr. Julie Côté, who will explore gender as a lens for better understanding of work-related MSDs. Dr. Linda Goldenhar will share strategies for improving safety climate and safety culture to reduce MSDs in the workplace. And Dr. Bradley Evanoff will discuss findings about the risk factors for carpal tunnel syndrome from a multi-site, three-year longitudinal study of 4,000 workers—a larger population than had previously been studied. For more, click on the speakers tab on the program page. On February 2, Theresa Aversa of the Ontario Public Service Employees Union offers an IWH plenary comparing health and safety issues among migrant farm workers under two government programs. This plenary will be held at IWH’s downtown Toronto location, but a live stream option is available for those unable to attend in person. To find out how to sign up, or to see upcoming IWH plenary topics, go to our website. 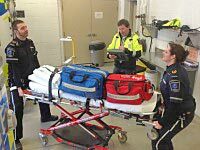 Watch for a conference coming this May from the Centre of Research Expertise for the Prevention of Musculoskeletal Disorders (CRE-MSD) on preventing MSDs in paramedics. Hear from a range of presenters, including front-line staff, management and researchers, on best practices and existing challenges. Panel discussions will cover topics such as vehicle design (e.g. cab layout and vibration); work organization (e.g. deployment, shift work); modes of conveyance (e.g. power stretcher use and stair chair design) and policy (e.g. limited lifting). This conference will be of interest to individuals directly responsible for MSD prevention at the service level, from senior management (chiefs, deputy chiefs, etc.) to joint health and safety committee members. Check the CRE-MSD website often for further information.